A 28 tonne container carrying lubrication oil fell from a ship in the North Sea. It was lifted from the water by a recovery vessel and taken to a port on the east coast of England. Hird was asked to carry out an emergency machinery moving lift – to take the container off the recovery vessel. 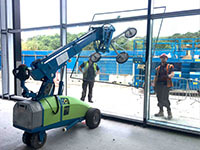 The client called at 4pm on Friday afternoon, and was keen for the lift to be completed that evening. The time constraints were challenging, but Hird was up to the task. 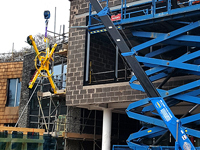 The lift was carried out successfully, as the client required, less than four hours after Hird was commissioned to carry out the emergency lift. The container was causing a hazard to shipping and gas rigs, so had to be recovered. Once it was brought into port by the specialist recovery vessel, dockside handlers wanted it off-loaded as quickly as possible. 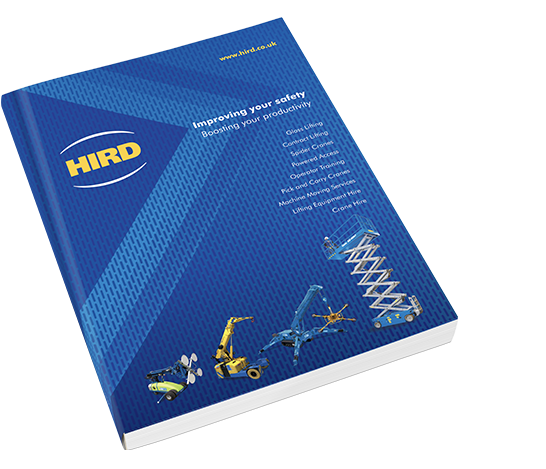 Despite the tight timescale, Hird’s experience with emergency machinery moving lifts meant it could mobilise a lift team very quickly. 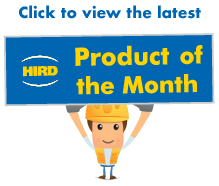 Hird commissioned a 200 tonne LTM 1200.5.1 mobile crane from a crane hire partner, and arranged for it to be dockside by 6.30pm, less than three hours after receiving the first call. 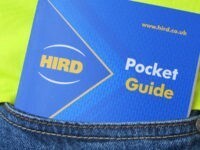 Hird Machinery Moving Manager Mick Bradshaw drew up a method statement and risk analysis management system to carry out the work, and took the documents to the dock. He then organised the slinging of the container, before it was lifted from the deck of the recovery vessel and onto a container trailer at 7.30pm. A key moment was the placing of the container on the trailer. The container showed signs of damage – though no oil was leaking. But it sat perfectly over the container pins. Once the pins were locked in place, the load was secure, and the lubricating oil tank could be taken away. 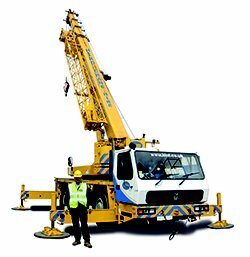 The mobile crane with the longest telescopic boom on the market in the 5-axle class. It has a 7-section 72m boom, ideal in this case for lifting the container from the ship. With a maximum lift capacity of 200 tonnes at 3m. .